I will be writing from New York City starting September 7th, on the 10th anniversary observances of 9/11. I’m there for two reasons: First, one chapter in my book covers people who lost friends on 9/11; some of those stories also pop up elsewhere in the book. Second, one of my high school classmates died in the South Tower, and I’m going to hear her name read at the Naming Ceremony (hopefully, pronounced correctly this year), and to see her name engraved on the new 9/11 Memorial. I’ll be looking at the anniversary from a number of different perspectives: how the arts and different faiths are observing it, for example. You can expect me to point out how some are making money off the anniversary, too (my ‘favorite’ last year were the people dressed up like NYPD and FDNY lottery balls). I also have a terrific guest blogger on September 11, whose website you can check out at Damon DiMarco. He’s written a beautiful prayer that I’m honored to share with all of you. There will be lots of pictures, as well as links to organizations doing good work supporting first responders and others whose health was impacted, as well as those preserving our memories. Not surprisingly, there have been some 9/11 charities that turned out to be nothing more than scams or blatant sales promotions. Be assured that the professional fundraiser in me has vetted all the nonprofit organizations that (ever) appear on this site. So, if you are determined to avoid any and all reminders of 9/11, I understand. I’ll see you back here on the 16th. I’ll be sharing thoughts on friend grief from unlikely sources, like Winnie the Pooh. 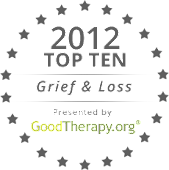 Otherwise, join me for the next week or so for a look at how we grieve our friends lost on that clear, blue Tuesday ten years ago. Looking forward to reading these Viki! me and my shadow?! That's so odd - no idea where that name came from! But at least I can comment now! I'm looking forward to the to be continued... I am sure it will be an interesting read.